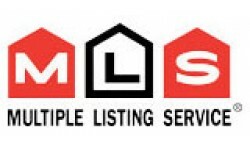 In October 2011, Calgary Realtors reported 1,357 sales, up 14 per cent from October 2010. Year-to-date sales, at 16,191, were up eight per cent compared to the first ten months of 2010. The average price for October single family home transactions was $455,248 – up by 5 per cent compared to the same month last year. Strong sales growth has occurred across many property classes – from price ranges that would attract first-time buyers to luxury properties selling for over one million dollars. The average condo price in the city was $283,416 compared to the $287,793 recorded in October of 2010. Thanks to low interest rates and stronger job growth, price increase has not substantially changed the positive affordability picture in the City of Calgary.